TORONTO – April 11, 2018: Urbanation Inc., the leading source of information and analysis on the Toronto condominium market since 1981, released its Q1-2018 rental market results today. The rental development pipeline continued to expand, but at a more gradual pace. The total number of units under construction reached 7,937, rising from 7,422 units in Q4-2017 and representing a more than 25-year high, while the inventory of purpose-built rentals proposed for development edged up from 33,895 units in the previous quarter to 34,054 units in Q1-2018. A total of 5,302 condominium apartments were leased through the MLS system in the Greater Toronto Area in Q1-2018, the lowest Q1 level since 2015. The total number of units listed for rent during the quarter declined 12% year-over-year, with the number active listings available at the end of the quarter down 14% annually and representing only 0.6 months of supply. The average days on market slipped to 18 days from 20 days a year ago in Q1-2017. Average monthly rents increased by $214 over the past 12 months to $2,206 based on average unit size of 740 sf. Over the past two years, average rents have risen by $314. Renters have started to gravitate towards less expensive options in the rental market, as evidenced by an increased share of leases for studio and one bedroom without den units, which averaged rents of $1,640 and $1,907, respectively, and 17% annual growth in rental transactions in the 905 Region, where rents averaged $1,914. Urbanation calculated that based on an average resale condo price of $558,000 in Q1-2018, and applying lending standards for gross debt service ratios and the new OFSI stress test rules, the income required to purchase a condo with a 20% down payment reached $100,000. Without the OFSI rule, the average required income falls to $86,000. One year ago the required income to buy the average priced unit was $77,000, and two years ago it was $64,000. Despite the large increase in rents, Urbanation calculated that it is still less expensive to rent than carry the ownership costs of the equivalent sized condo unit. For the average sized 740 sf unit rented in Q1-2018, the mortgage principal and interest payments (with 20% down) plus condo fees would be $170 a month higher than rents of $2,206. As of two years ago, the costs of renting and owning were virtually equal. Purpose-built rentals under construction ended Q1-18 at 7,937 units — up 515 units from the end of 2017 and 2,105 units from Q1-2017 (5,832). A total of 1,191 units started construction in Q1-2018, while 676 units reached occupancy during the quarter. Compared to a year ago, the number of purpose-built rentals proposed for development but not yet started construction increased by 22 projects and a total of 5,213 units. The purpose-built projects surveyed by Urbanation that have been completed since 2015 had an average vacancy rate of just 0.4% in Q1-2018. 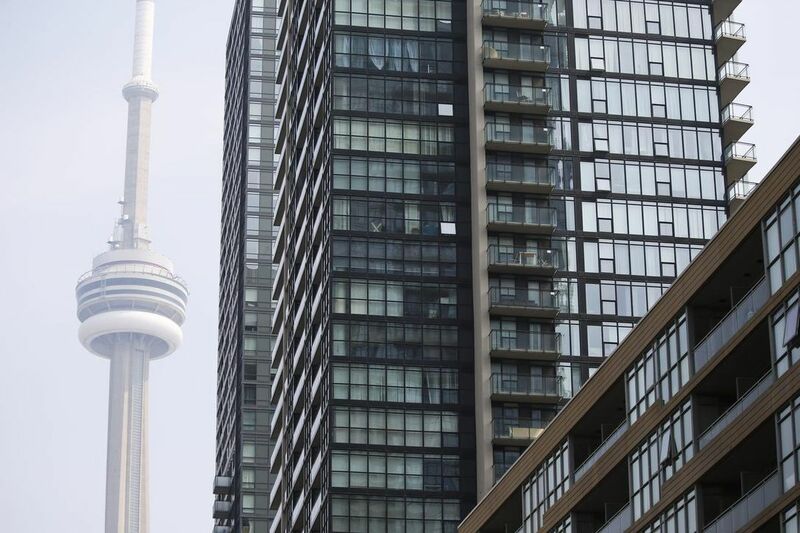 “Renters in the GTA are facing very strong market forces that are pushing hard on demand while new supply remains stubbornly low” said Shaun Hildebrand, Urbanation’s Senior Vice President. “The situation should improve at least somewhat starting in the second half of the year as more condo projects under construction reach completion and buyers begin to adjust to the new mortgage rules,” added Hildebrand.